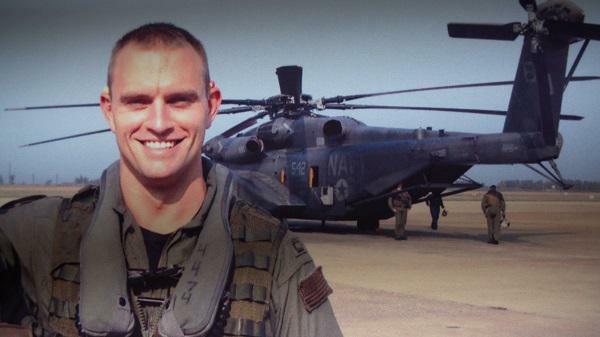 Lt. J. Wesley Van Dorn was killed in a helicopter crash in 2014. He was aware of the safety and maintenance issues plaguing the aircraft and had hoped to helped address them. Fueled by grief, his widow wanted answers. A new documentary examines the accident that killed Van Dorn, and questions why the Navy was so slow to improve safety for the deadliest aircraft in the military. Host Frank Stasio talks with Zachary Stauffer, the director and producer of “Who Killed Lt. Van Dorn?” about the tragic story that reveals widespread problems in the way the military procures and maintains its equipment. “Who Killed Lt. Van Dorn?” screens as part of the RiverRun Film Festival in Winston-Salem at the Hanesbrands Theater on April 11 at 7:30. p.m.
"Vulnerable" seems like the last word to describe a 70 million-pound armored ship that can fire shells weighing as much as a car. But now the USS North Carolina, one of the state's most iconic tourist attractions, has a new enemy … and a new battle plan. A Marine Corps vet is receiving national attention for his attempts to open a small business in Durham, North Carolina. The radio show Here & Now has been following Matt Victoriano's story since last October. The program's host, Robin Young, met Victoriano at the 2012 Democratic National Convention. Victoriano had served in Iraq and had been a sniper team leader. Since then he's been coping with post traumatic stress while trying to open a small business.